Harris Communications is now offering the new IQBuds intelligent truly wireless earbuds from Nuheara. Ideal for those with mild hearing loss, IQBuds amplify speech for better hearing, wirelessly stream music and audio. 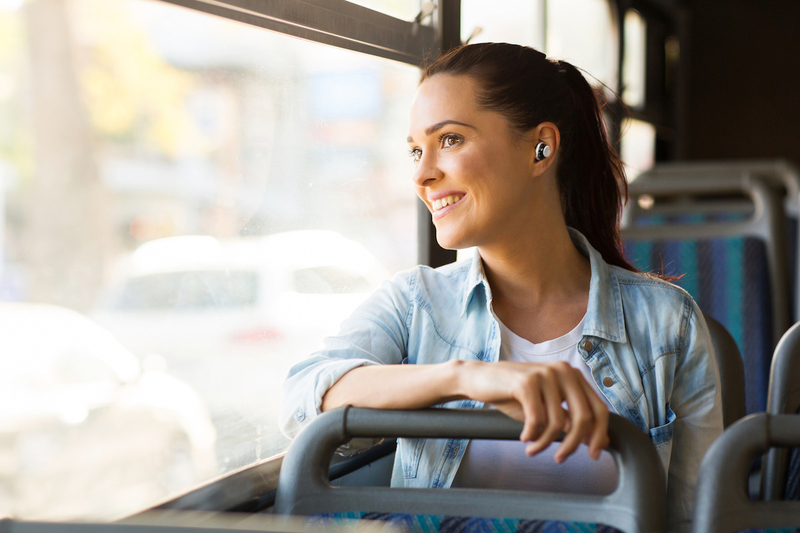 IQBuds amplify speech and wirelessly stream music and audio from a smartphone or MP3 player, allowing people with mild hearing loss to hear what they want to hear and connect to their digital world. Far more than an ordinary PSAP, iQBuds are a cross between an assisted listening device, noise cancelling headset and a Bluetooth® earpiece – all in two totally wireless earbuds. Harris Communications, Inc., a leading supplier of hearing loss solutions, proudly announces that it is now offering the new IQBuds™ intelligent truly wireless earbuds from Nuheara. 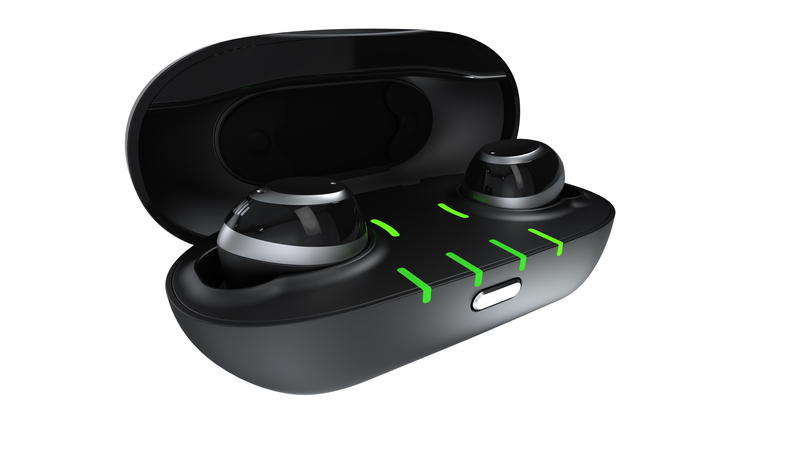 These intelligent wireless earbuds amplify speech and wirelessly stream music and audio from a smartphone or MP3 player, allowing people with mild hearing loss to hear what they want to hear in the world around them and connect to their digital world. IQBuds provide up to a 12dB gain in volume, making it easier to select what users want to hear in noisy environments like restaurants, stores and casinos. 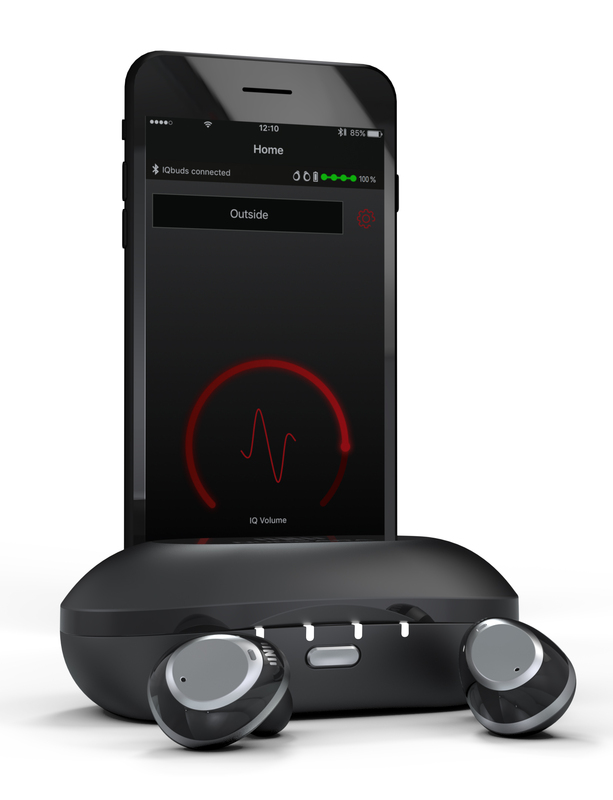 Wearers of these unique hearables can personalize their hearing profile and customize how they hear in different location settings as well as adjust volume and tone, answer cellphone calls, and control their music player by simply tapping the earbuds. IQBuds are available in four sizes of earbuds. They can be used with Android and iOS devices and hold a charge up to 32 hours on the go for sound amplification or up to 16 hours on the go for music streaming per charge. They include a hard case for charging and storage. 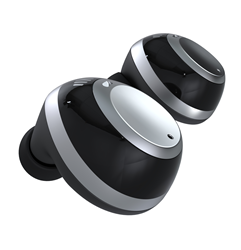 IQBuds can be purchased at http://www.harriscomm.com, or call 952-388-2152 (video phone) or 877-539-7445 (voice).